On Saturday Chris Blake (piano) and Melanie Armitstead (soprano) played and sang for us. The afternoon concert was for young families and throughout Chris and Mel involved the children in playing a part in the music. By the second half every young person had become involved and Chris commented how enthusiastic the children had been. Around 50 parents and children attended. 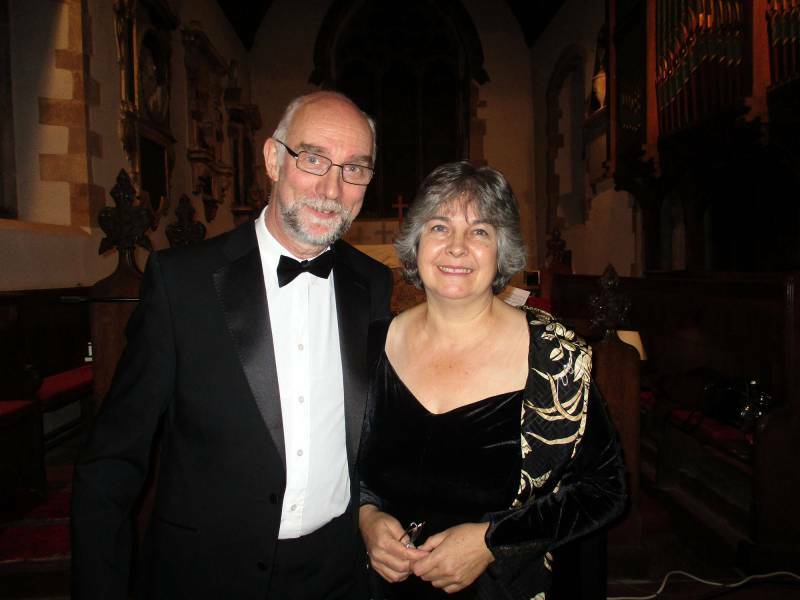 In the evening around 80 people attended to hear a superb concert. Chris followed the pattern of last year’s success by organising a programme with themes that he or Mel explained before they played. The music included tunes we all know and some that were new to us. All were beautifully performed. Faye Tan had taken on most of the work to make these concerts happen and David Tan has proved himself to be a great sound engineer! Thank you to both of you! The church is a great venue for performing. The acoustic is good for performers and audience alike and I applaud the Parochial Church Council for opening up the building as a concert venue. Thank you! Finally I’d like to say that this was one of those events where everyone seems to win! Clipston Recreation Field Trust raised money for the running costs of the recreation field.